Here we go folks. I am again sharing with you a Surprise Inside Cake tutorial. This time… How to make the Mini Heart Cake and Shamrock Cake ! I will be writing out the instructions for the Shamrock Cake, and put the (brief) instructions for the Mini Heart Cake at the end of the post. 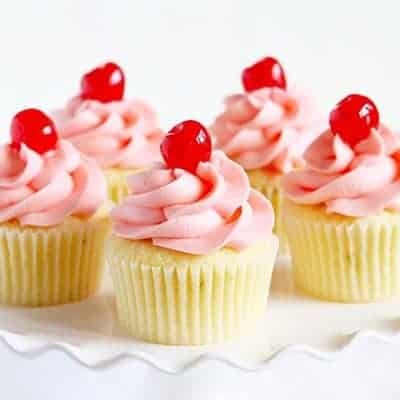 They are very, very similar so you should be able to determine how to make the mini-heart cake from these pictures. However, if you have any questions please just leave it in the comments and I will answer as soon as possible! 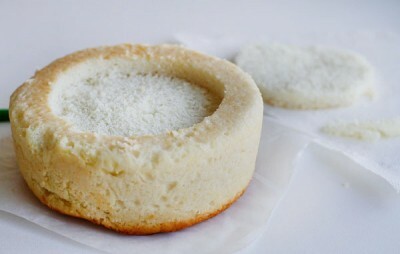 I used this white cake recipe and divided it into two six inch pans. Bake cakes then remove from oven and cool to room temperature. Place cakes in freezer for about six hours, or until very firm to the touch. You do not want a crumbly or soft cake. Start by making your cake mixture. You need a golf ball size portion of green and a very small amount of white. 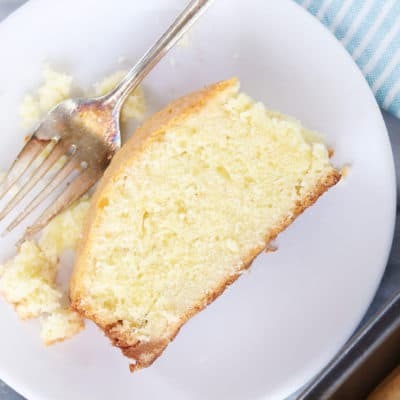 You can either bake an additional white cake to get excess cake (for the cake mixture) or you can level your six inch cakes and use those scraps. 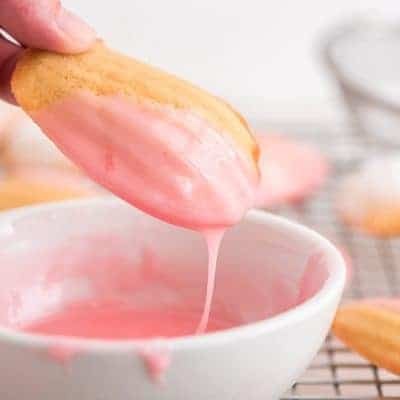 To make the cake mixture take one cup of cake crumbs and add one teaspoon of frosting. 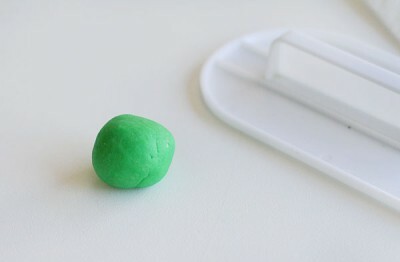 Blend together until you get a play doh like consistency. 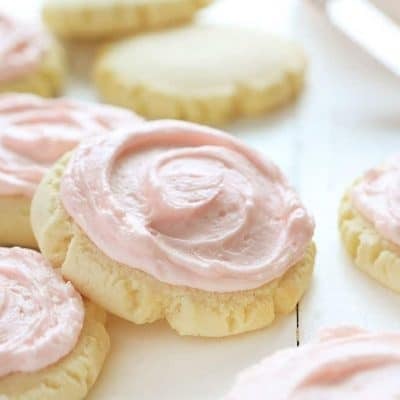 Feel free to use more frosting as needed. Take 1/4 of the green mixture and roll into a ball. Roll it into a snake. 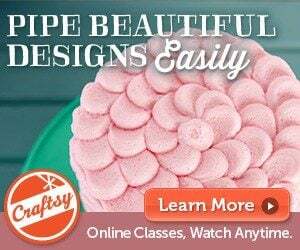 I use a fondant smoother to roll mine, but you can certainly just roll out a snake with your hands. You want the snake to be about 12 inches long. Repeat this four times so you have four snakes all approximately the same length. Now we are going to shape the petals of the shamrock. To do this I simply take my finger and press down one side of the snake. Then take a butter knife (using the dull side) and make a indentation on the wide side. 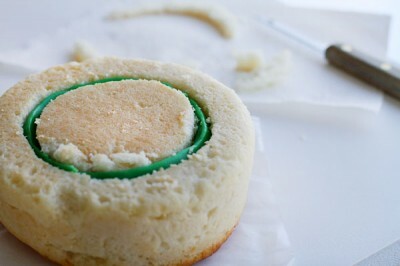 Roll out a VERY very skinny snake from the white cake mixture and insert it into the indentation you just created. 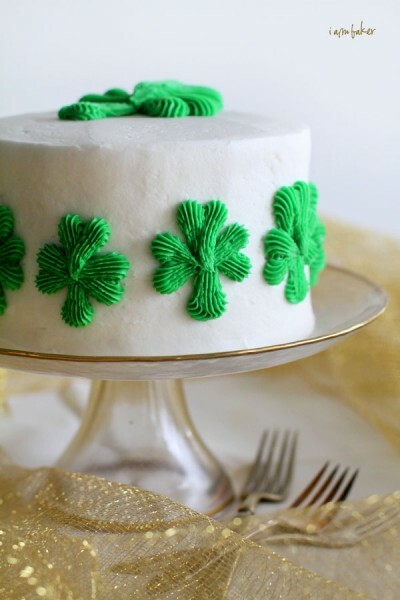 The white snake will virtually disappear when you cut into the cake but will help provide a little extra stability in the petal of your shamrock. Do this the three of the snakes. The final green snake will be the base of your shamrock. Instead of making an indentation, simply press it a little flatter. You want to create a three dimensional triangle. 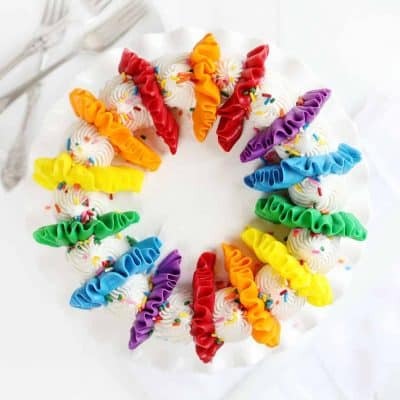 Remove cakes from freezer and center a four inch round cookie cutter on the cake. Press in about a 1/2 inch. Gently dig out a half inch section of the cake and set aside. Be careful with it as you will be reusing it. 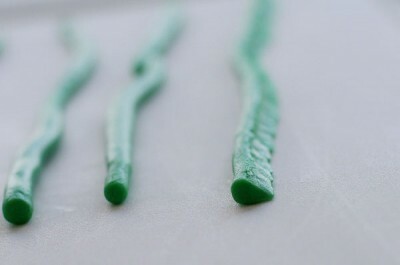 Pick up the green snake that you are using for the stem of your shamrock. Gently tuck it into the crevice of the cake. Now take the extra white cake piece that you just removed and cut off (approximately) 1/4 inch from the exterior circumference. Nestle it back into the cake. Do this to other side of cake. You can use any of the three green snake as they should all be the same. 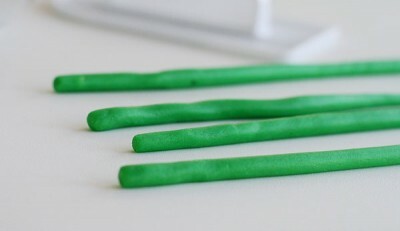 Now place the next green snake around the cake, matching up pointy end to pointy end. 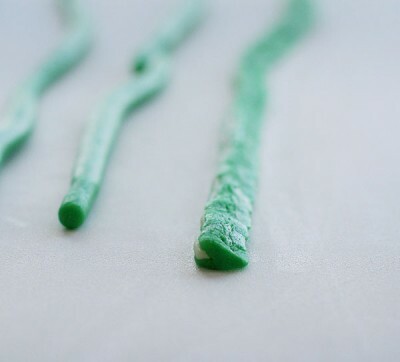 (indentation side, the side that you have filled with the white snake, out) Place the last green snake around the interior. 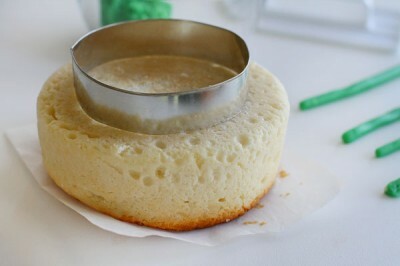 Place other cake on top and dont press too hard. 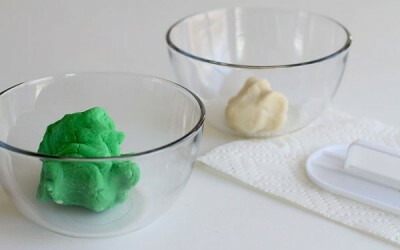 Place a frosting tinted green (I used my favorite buttercream recipe, only I used 1/2 cup shortening and 1/2 cup butter) in a pastry bag with a coupler set attached. Put the #32 tip on. 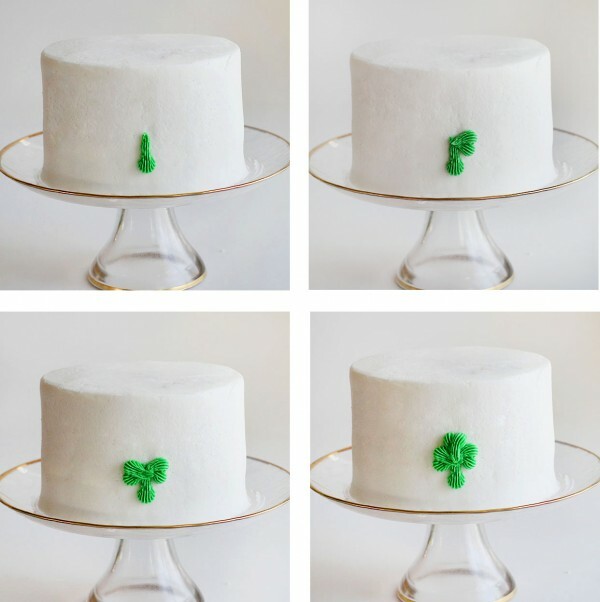 Starting with the bottom of the shamrock, apply gentle pressure to bag near the bottom of the cake. Slightly move tip from side to side and create a wider base, then move up. Do this same thing on the right side, only do it twice. This helps create the two petal shamrock leaf. 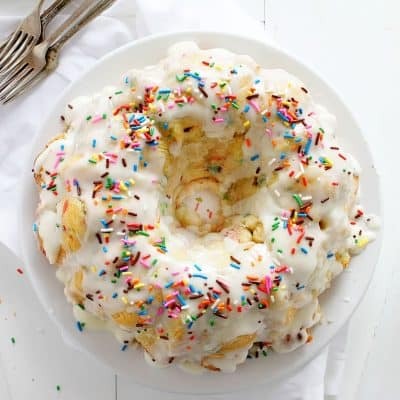 Continue around entire cake. 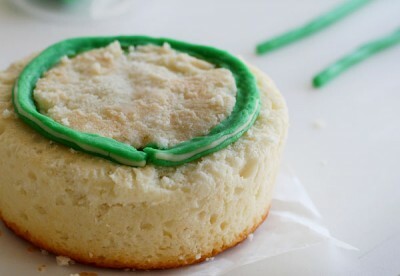 I also put a large shamrock on top of the cake using the same method. Use a quarter size of red cake mixture and roll into a snake. Make your red cake snake about 12 inches long. Pinch down one side to create the bottom point of the heart. 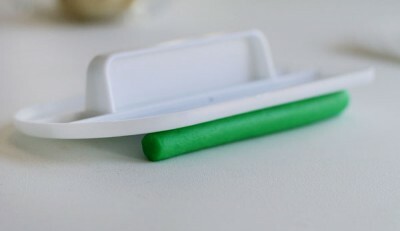 Using the back of a butter knife, create a slight indentation in the top of the heart. 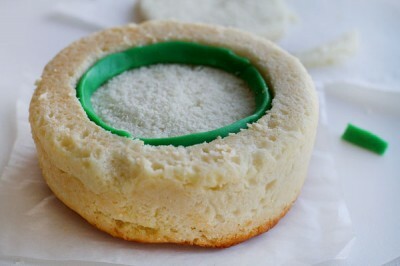 Place round cookie cutter in center of cake. Press slightly. Insert red heart snake into cake with the pointy side down. Place other layer cake on top. 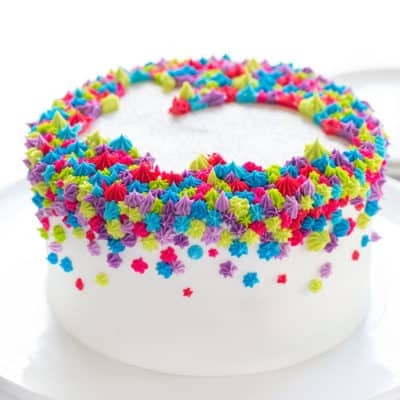 Place crumb coat on cake and decorate as you would like! Make sure your cake is very chilled prior to cutting into it. 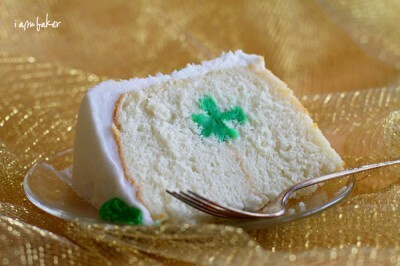 If your cake is room temperature you might squish the shamrock. If this is your first ever Surprise Inside cake, you might want to try the mini heart first. 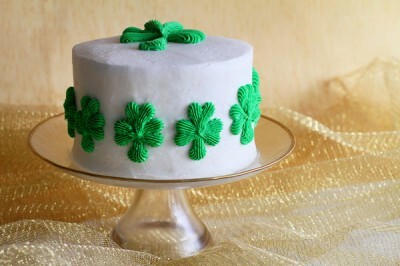 I have made over 100 surprise inside cakes and the Shamrock is the most challenging by far. I really had to be as precise and as intentional as possible. Thanks for sharing how you did this. It’s a great technique and I’ll have to try it soon! I am in love with your heart cake!! thanks for the tutorial!! 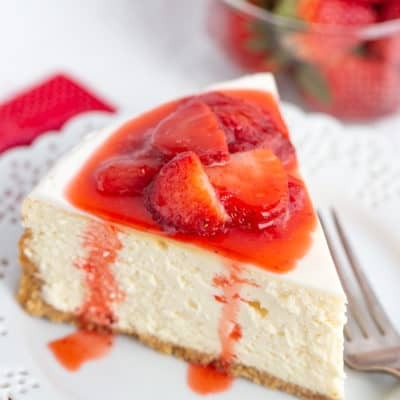 Just one question though, well, a couple: you do remove the circle from the cake to put in the red heart, cut the circle slightly and then place it back, or just mark the area with the cutter and place the red snake there and then put the other cake layer on top? Thanks for the help!! I would love to give this cake a shot!! 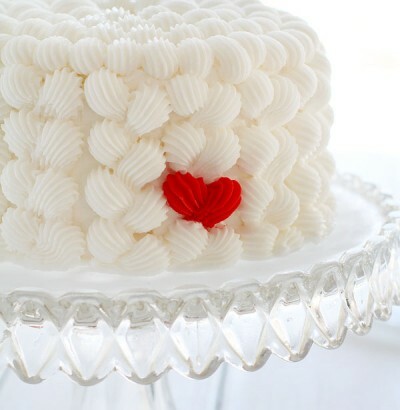 What tip did you use to decorate the outside of your mini heart cake? Adorable inside and out! 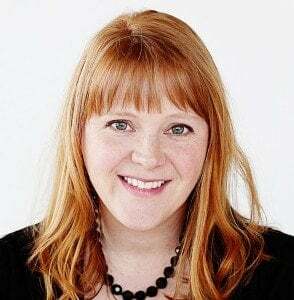 Hello, Amanda! I am curiuos what you mean when you say ‘crumb coat’? I don’t get it. Thank you. This is sooo incredible! 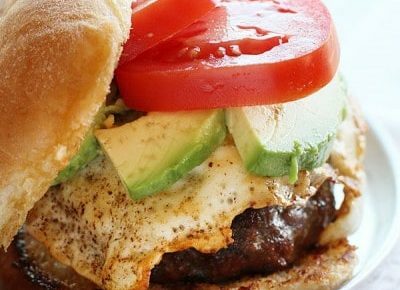 I want to make this for my boyfriend’s birthday in Saturday. 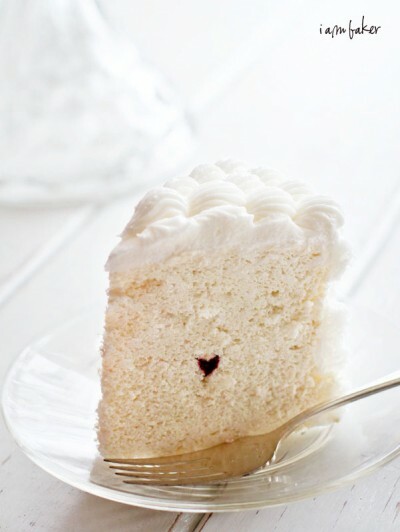 I wan just wondering if I add the little heart can I add some other filling to the cake or will that ruin it completely?